Clinical microbiology, the adaptation of microbiological techniques to analyze the etiological agents that lead to the development of infectious disease, is the medical sub-specialty that explores the nature of the infectious condition and studies the ability of antibiotics to kill or inhibit the isolated microorganisms. The sector is gaining increased focus across the globe owing chiefly to the vast rise in infectious conditions, the alarming adaptability of microbes to changing environments, and the rising threat of contracting bacterial pathogens that are resistant to commonly used antibiotics. The rising number of diseases caused by pathogenic infections is fueling research and development activities in the field of clinical microbiology. The trend is expected to remain strong over the next few years as well, with an increasing number of medicine companies already entering or willing to enter the field with the help of their clinical solutions for use across numerous sectors of clinical microbiology. Automation is increasingly gaining a larger and more prominent role in the sector and is expected to help reduce the time required to undertake a number of processes and improve the efficiency of results. Technological advancements in monitoring equipment are allowing more exhaustive analysis of microbes and leading the field of clinical microbiology towards a healthy growth path. 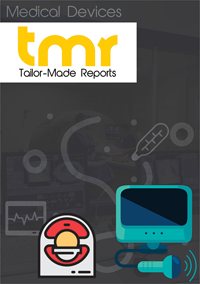 This report includes the most current market data related to clinical diagnosis of animal and human infections and the present and potential future role of laboratories in both the management of infectious diseases and analysis of the epidemiology of infections. The intercontinental clinical microbiology market is envisioned to be pampered by a wide spectrum of opportunities in different applications such as the identification of diseases caused by pathogens with the help of laboratory services. Class A carbapenemase, a group of causative agents of clinical infections, is proliferating rapidly and has augmented the need for determining carbapenemase genes through clinical microbiology. In order to address this need, Cepheid, Inc. introduced Xpert Carba-R, a diagnostic assay, which was sanctioned by the U.S. FDA in 2016. The global clinical microbiology market could be segmented considering disease, application, and product as significant parameters. With the rise in targeted diseases and swelling geriatric population, the disease segment could see a handsome growth. This report on the world clinical microbiology market can be used as a guideline to operate in the industry as a winning player. Vital aspects of the market such as opportunities, restraints, and growth factors are analyzed in a radical manner to help gain a paramount insight into the clinical microbiology industry. The world clinical microbiology market could acquire growth at a stallion pace in the wake of the need to keep a tight rein on human errors during the manual processing of samples in research projects. In this regard, the automation of clinical systems could be demanded at a brisk rate. This demand is foretold to also gain increased support from the need to maintain constancy in manual processing. Having pulled in a king’s share in the global clinical microbiology market in 2015, reagents are foreseen to earn more revenue while riding on the hike in purchases and aggravating penetration due to the demand from therapeutic and analytic research projects. The towering degree of the prevalence of respiratory maladies in emerging as well as developed nations could intensify the demand in the international clinical microbiology market. This can be attributed to the soaring levels of air pollution because of meteoric industrialization. The North America clinical microbiology market is prognosticated to get help from the existence of leviathan companies and hard and fast regulatory structures. An interesting part of the geographical analysis is the expectation on the part of the Europe market to maintain a close proximity with North America in terms of growth. However, North America secured a stupendous share in the global clinical microbiology market in 2015. The region is anticipated to stimulate high adoption of clinical microbial methodologies with the higher development of healthcare and industrial domains in countries such as the U.S. Besides China, Japan is expected to promise a faster growth in the Asia Pacific clinical microbiology market on the back of aggressive microbial testing application in a variety of fields. The august technological buildout in Japan cannot be sidelined when considering this market on the basis of demand. A countable number of top companies in the market are looking to relocate their major manufacturing outlets to Asia Pacific. This is due to the quantum leaps in building sophisticated manufacturing infrastructure and large availability of skilled labor at low cost in the region. As a result of their pacey progress in research and development and introduction of automated laboratory systems, the giant players in the international clinical microbiology market have won the trump card of being the first movers. There are only a few names competing at worldwide level, viz. Bruker Corporation, Danaher Corporation, Cepheid Inc., and bioMerieux S.A. Howbeit, the contest is predicted to be escalated by the entry of new faces in the global market. Of these are Hologic Inc., Becton Dickinson & Company, Alere Inc., and Roche Diagnostics.